Have you ever lost images on a computer or smartphone? I have on both. A hard drive failed on a computer, and I did not heed the warnings when I updated the iOS on my iPhone. For the most part, I had most of my images on CDs for my computer and posted images on Instagram or my blog with my iPhone. After my hard drive failure, I subscribed to Carbonite. I lost the hard drive 6 years ago, and since then I have backed up over 90 gigs in files, most of which are images. Having the peace of mind knowing my files are safe is priceless. Today, I opened up my Carbonite app and was surprised to see a new feature. The app allows me to access my images from my backup, and I was perfectly content with that. 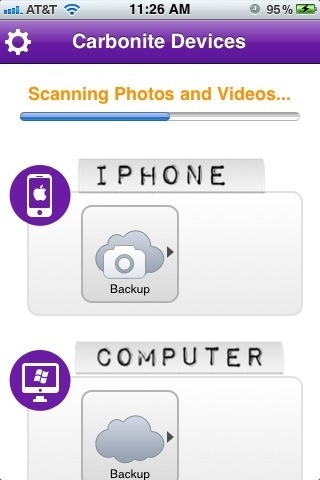 Carbonite has now allowed me to backup my images on my iPhone. I know what you are saying, “Apple has the Cloud built into iOS.” and I’ve tried it. I was not too impressed because I usually did not keep my images on my phone very long to appreciate it. When Carbonite backed up my images, the app was my “cloud” access. Time will tell if this new feature will improve my experience, and I will let you know what I find. You are currently reading Backing Up at Joseph Ferreira.